Fasting in Orthodox Christian world is a way to clean up souls by willingly avoiding temptations of gluttony taste related to meat and other animal products as well as daily food quantities, throughout the fasting period. At the same time, people must keep away from “spiritual temptations” (passions,) too. During the first millennia A.D. the Greek Orthodox Church defined the small and great fasting periods that Orthodox Christians should observe, in accordance with the fasting that our Lord Jesus Christ did for 40 day in the desert. Nonetheless, the fasting period “habits” of Orthodox Church found fertile “ground” within Greeks, since the ancient Greek dietary habits (e.g. Eleusinian mysteries – a ritual initiation) were very similar to the newly introduced rules. The catharsis of the body and mind is the target of any religion (Vedas, Bible, Koran) imposing fasting periods. Also other mystic characters, like Moses and Pythagoras among others, followed the 40 days fasting on their “journeys to self-knowledge”, during which it is known they drank water only to purify their body and mind. According to Greek Orthodox Church, deviations from vegan to vegetarianism should be performed depending on the seasons (e.g. Autumn and Spring fasting), for more or less 6 months a year. Until the early 1970s the majority of the Greek population followed this diet, which was literally engraved in their minds since pre–Christian times. However, as the Greeks passed from the traditional way of living to the modern society’s fast paced and stressful living rhythm, this wisdom was gradually lost, especially in major cities. In small cities and small communities nevertheless the wisdom has been preserved by community members and still flourishes nowadays. Indeed, both Small Fasts (every Wednesday and Friday) and longer ones (40 days before Christmas, 49 days before Easter and 15 days before August) are still observed. Many Greek specialty dishes, like Ladera (a special subcategory of casseroles, exclusively made of greens vegetables and grains) are linked to Greek Orthodox Christian religion commands. In accordance with the precepts of the Church, during fasting periods Ladera, a few olives and bread provide proper nourishment to the peasants who have been working hard every day in the fields for centuries, making these days also pleasant and healthy. On many week fasting days (Wednesdays and Fridays) all animal products are prohibited, as well as fats and oils – following the vegan diet and lifestyle, actually; the need of people to eat something tasty and substantial activates women’s creativity and for more than 1000 years Greek farm housewives and mothers have been using their inspiration to create a large number of different “ladera” options, our today’s inheritance! Dried fruits, raisins, honey and Petimezi (a thick, non-fermented grape juice) are some of the additional ingredients used in the preparation of traditional recipes of pulses and Ladera: they often serve as substitutes for animal origin proteins. An example is the use of Tahini instead of fats and oils in food recipes in order to achieve a better and more nourishing result. 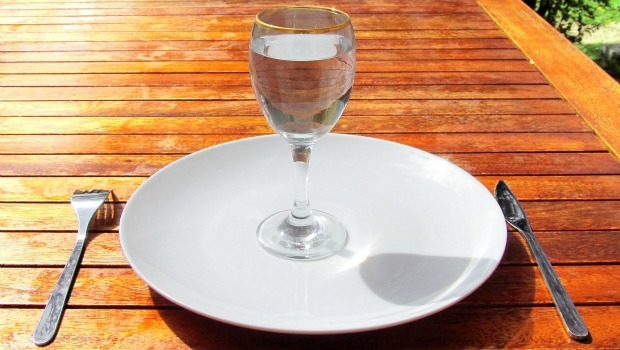 Fasting has also had certain health benefits for Greeks. In other words, fasting is a healthy nutritional model based on wisely used seasonal disposable products. 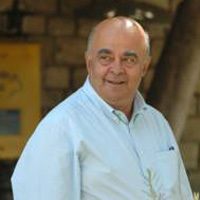 Giorgos Portokalakis Founder and owner of Porto Club, Giorgos is a passionate about Cretan food and culture and loves sharing this passion with guests and clients. Since 2000 he has been specializing in the field of special concepts of tourism with emphasis in Eco – Tourism, food, wine, culture and cooking classes for all lifestyles including gluten free followers, vegetarians and meat eaters. After spending over 40 years in the travel and cooking industry, he loves telling about the wonders of Crete, the family warmth of Cretan people, but also sharing the delights of Cretan cuisine with people who really appreciate good, fresh, natural and healthy cooking and slow food! Booking one of his food tour you will have the opportunity to taste the best of Cretan traditional Vegetarian cuisine and you will experience a way of life that very few tourists have the chance to enjoy. Mike Paine 21 Αυγούστου 2018 - 3:15 π.μ. usually those ones are higher in calories and full of sugar. I recommend getting the plain greek yogurt, mix teaspoon of flax bran and 1/2 teaspoon of cinnamon and drizzle agave nectar on it for sweetness.